If you feel like you’re constantly trying to tame your mane from frizziness, you are so not alone. According to a data from Poshly.com, 31% of women have to fight the frizz all the time. While there are some unavoidable causes (weather, being one), frizz prevention truly begins with you, according to the experts. Here are seven things that might make your locks freak out and some pro tips to help your hair stay as smooth as possible. 2. Not brushing your hair before washing. Peverini also advises shampooing only two or three times a week to keep frizz levels down. “Shampooing hair too often can dry and dull hair, leaving it frizzy,” she says. Your shampoo’s formula can also play a part. According to research, shampoo with too high of a pH level can actually cause frizziness and breakage. While many bottles won’t broadcast the pH on the label, you can look for a product that touts its low or balanced pH like a badge of honor. 6. Your hair’s lack of moisture. “Frizzy hair lacks moisture,” says Arensman. Deep conditioners and leave-in conditioning treatments work well to keep frizz away. Argan oil (or any oil that is easily absorbed) will also help to protect the hair and eliminate part of the frizz—as well as keep hair from tangling. Also be sure to trim the ends of your hair regularly (once every six to eight weeks), she advises. 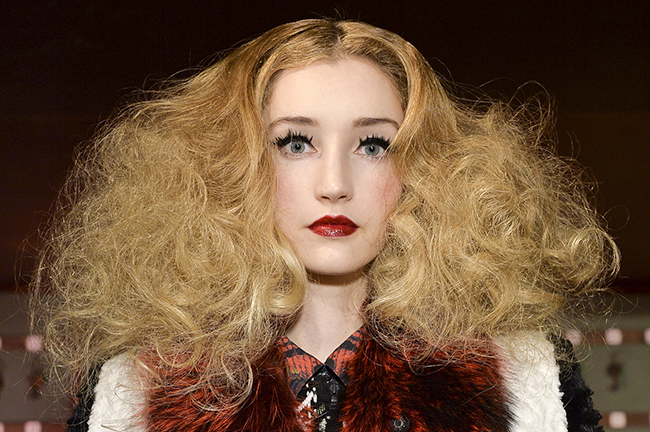 When the ends of your hair and rough and dry, frizz happens.